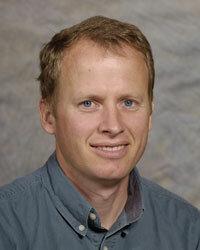 Troy’s research work is in the Land, Air, Water Resources, and Environmental Engineering (LAWREE) emphasis area. His primary focus is on agricultural irrigation. This includes deficit irrigation, irrigation water hydraulics, irrigation scheduling and management, irrigation automation, sprinkler irrigation efficiency, low energy precision application (LEPA), low elevation spray application (LESA), and crop water use estimation. Troy is located at the Irrigated Agriculture Research and Extension Center in Prosser, WA, and is also affiliated with the Center for Precision and Automated Agricultural Systems. Moneim Mohamed, a PhD student in the Land, Air, Water Resources and Environmental Engineering (LAWREE) emphasis area of Biological Systems Engineering has won the 2018 Graduate Student Award in the Soil and Water Management and Conservation (SAWMAC) Division. Moneim is advised by BSE faculty member Dr. Troy Peters. For more information, please visit the Soils Across Latitudes Site.